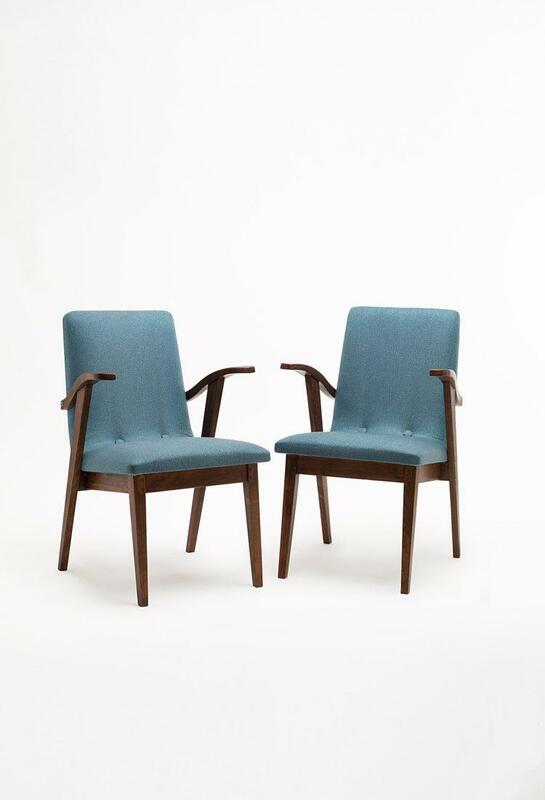 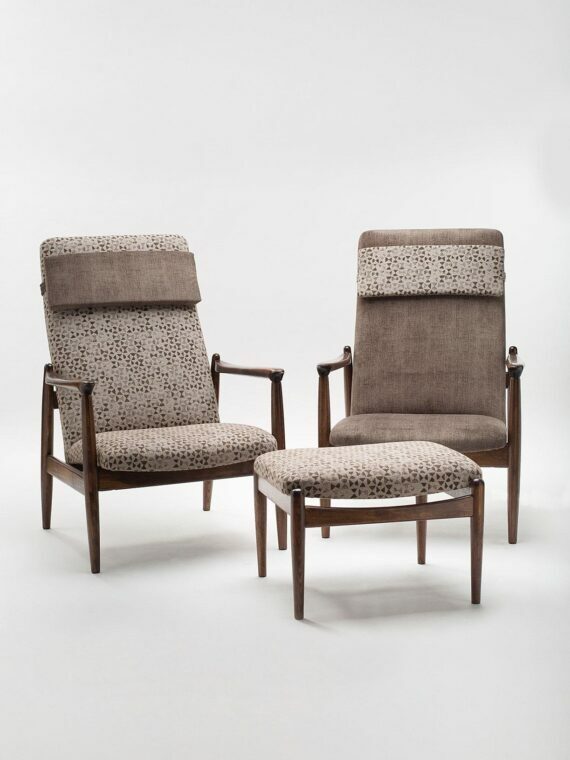 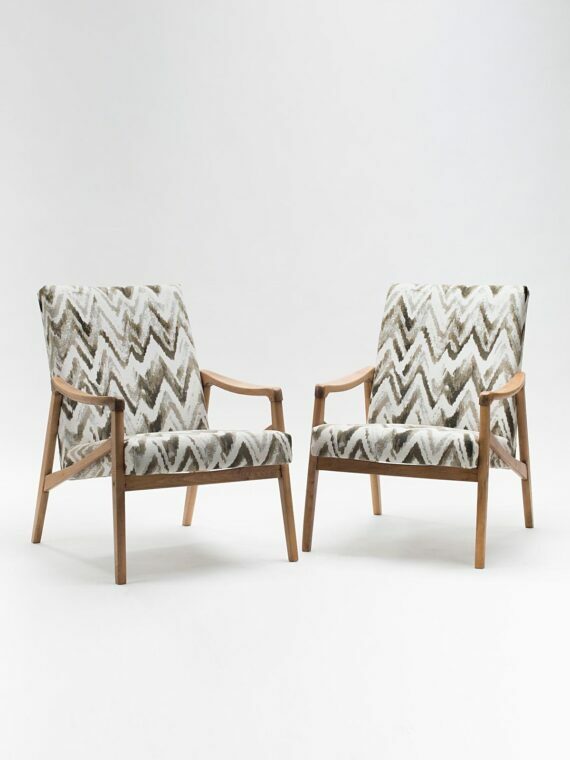 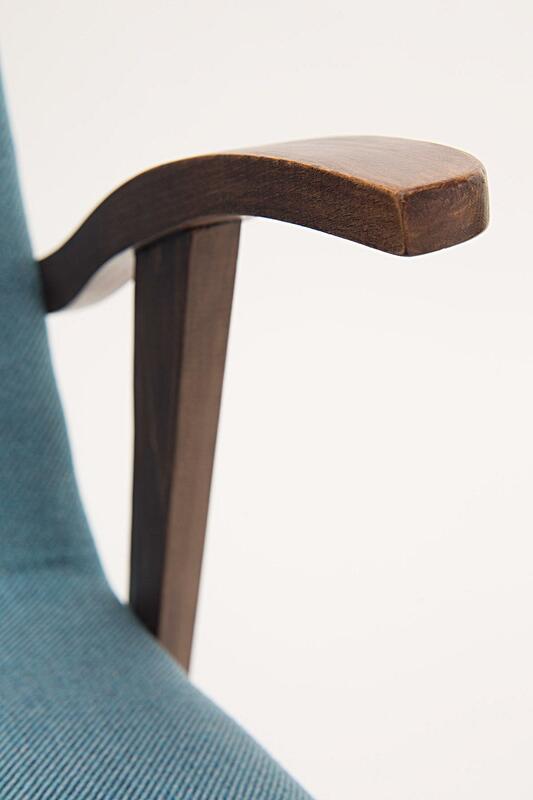 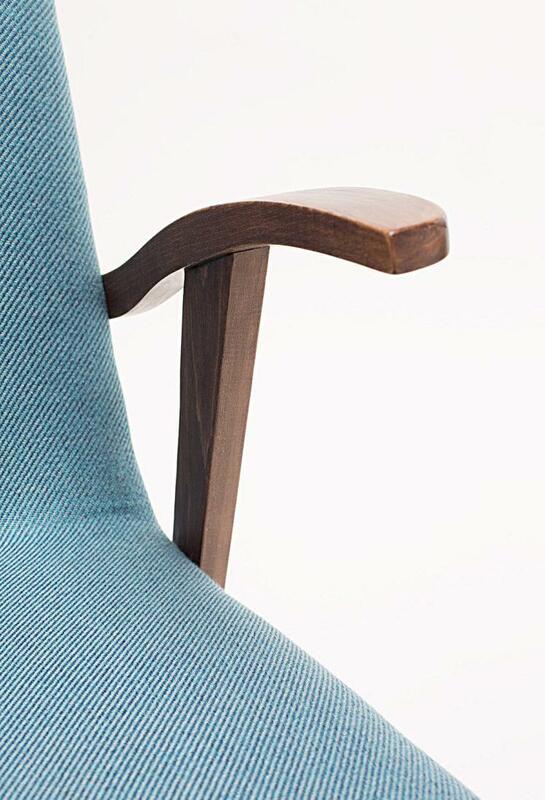 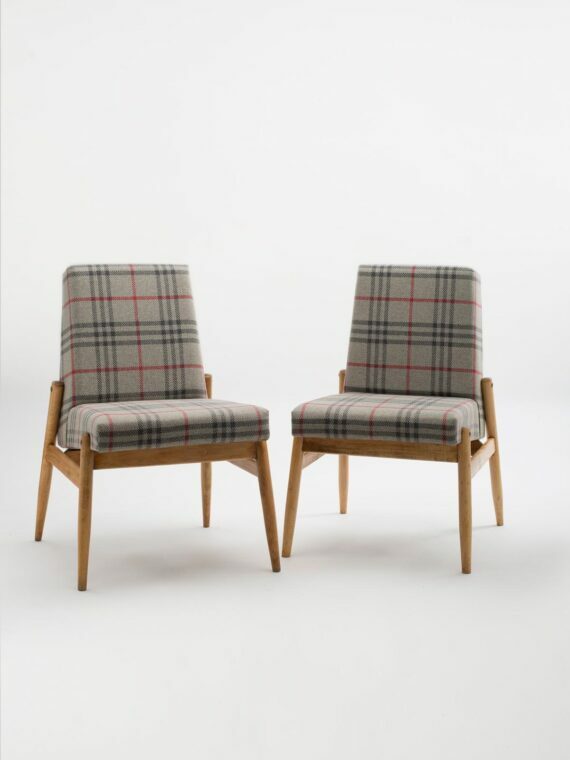 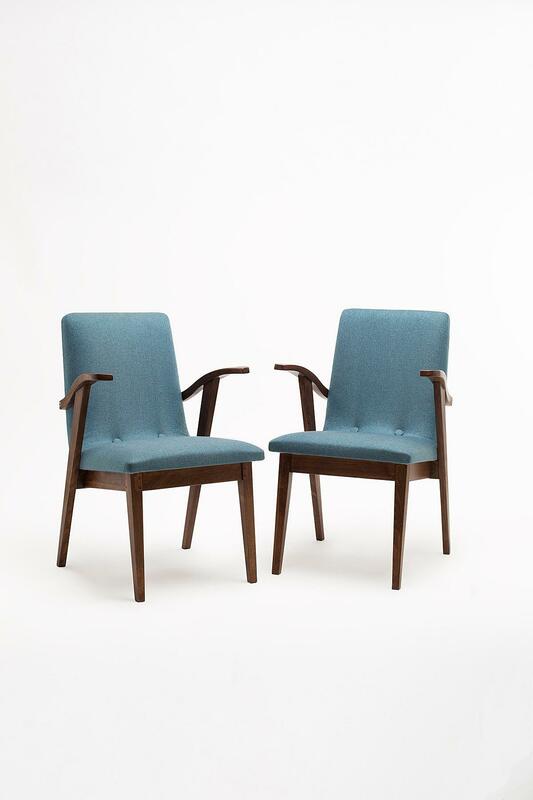 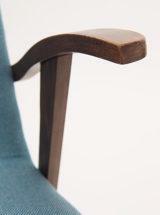 The armchairs were designed in the second half of the 1950s by Mieczysław Puchała in two versions: man’s, with a lower and slightly wider shape and women’s, with slightly smaller dimensions with characteristic bent armrests. 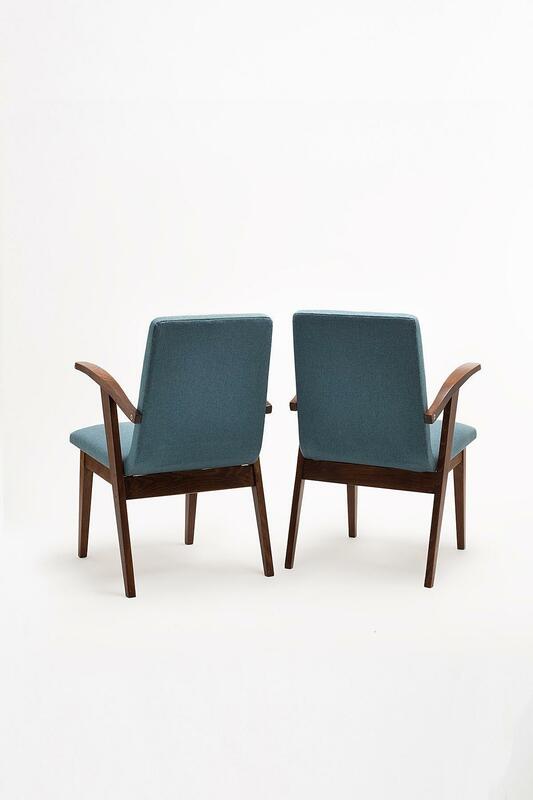 The two versions have been manufactured in Bystrzycka Furniture Factory (Bystrzyckie Zakłady Meblowe). 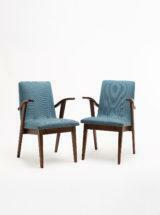 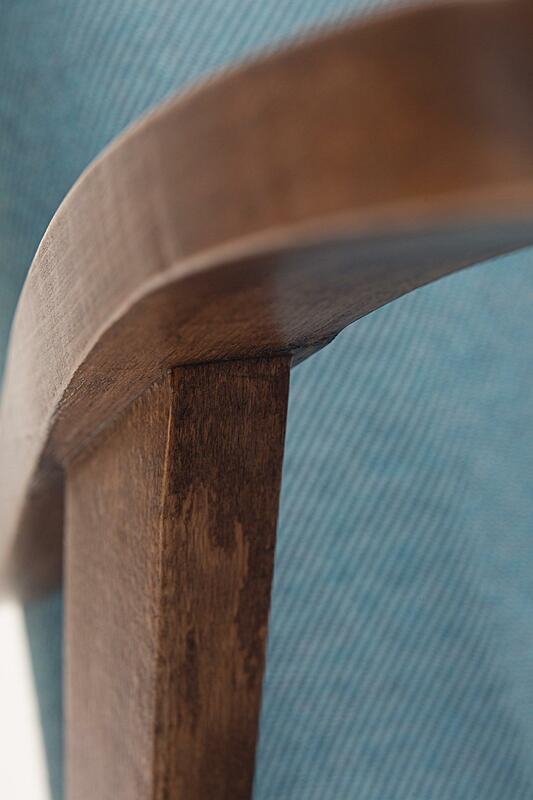 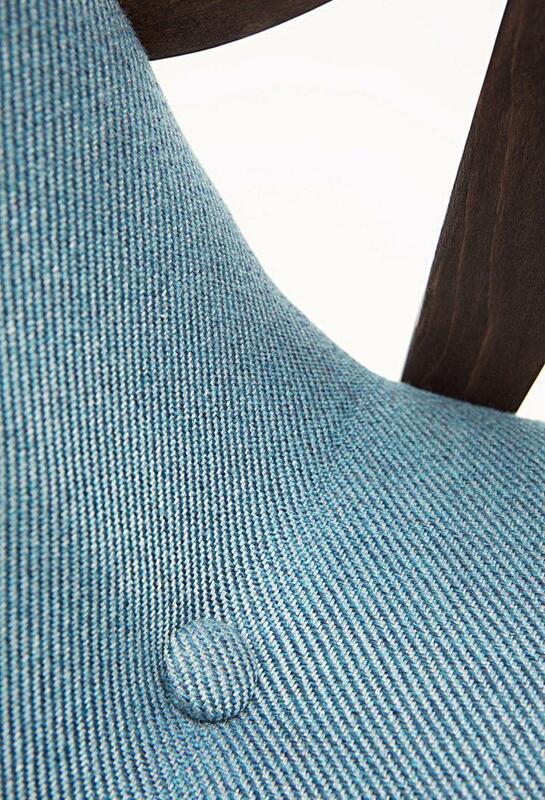 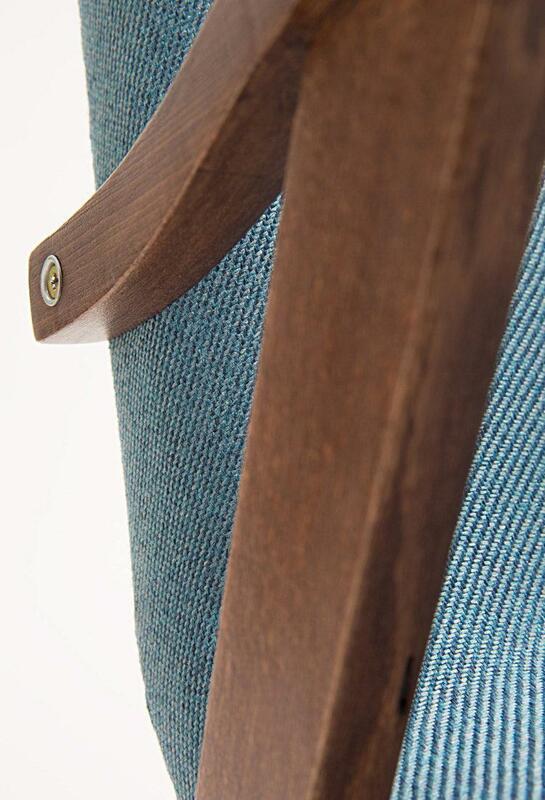 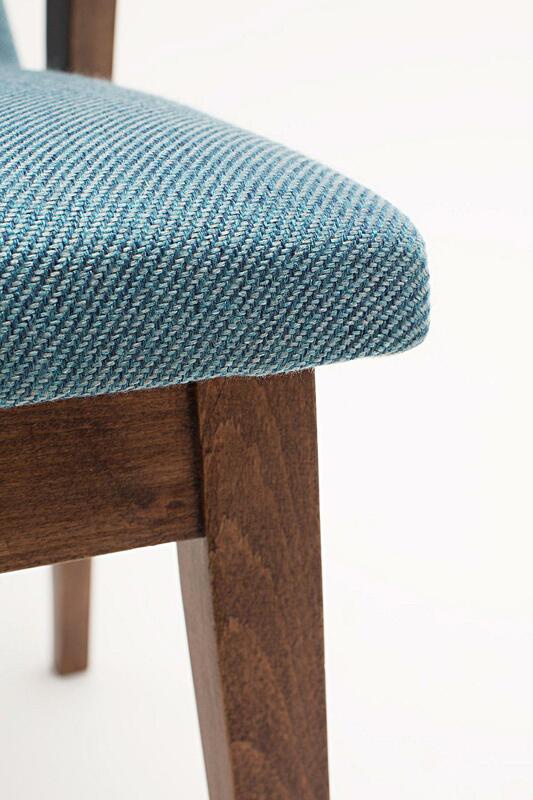 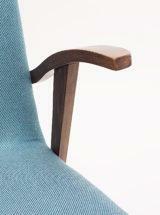 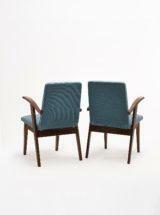 Armchairs underwent a carpentry and upholstery renovation. 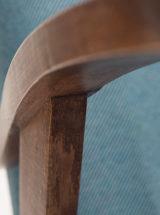 The wooden frame has been cleaned of the old coating and re-protected with several layers of semi-gloss acrylic lacquer. 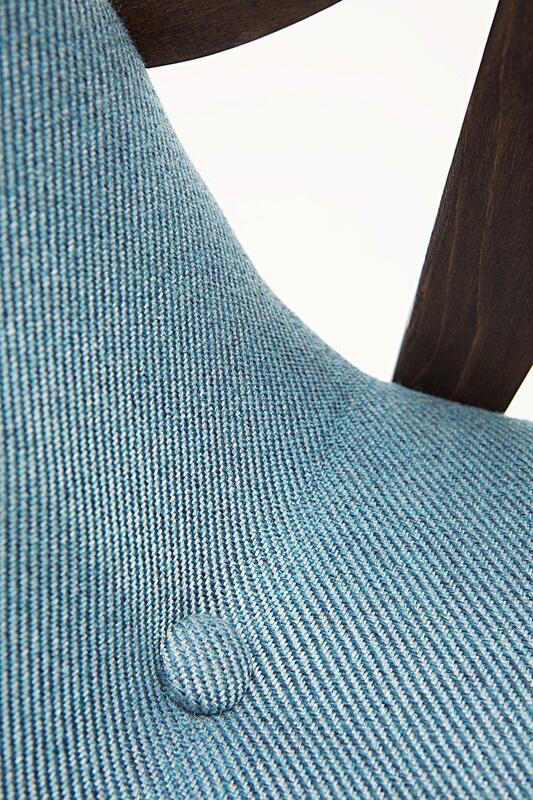 The upholstery sponges have been replaced and covered with modern, high-quality fabric.